smbgw is a web front-end to smbclient so you can download and upload files from a windows or samba server via a web interface. It requires linux, apache and php. 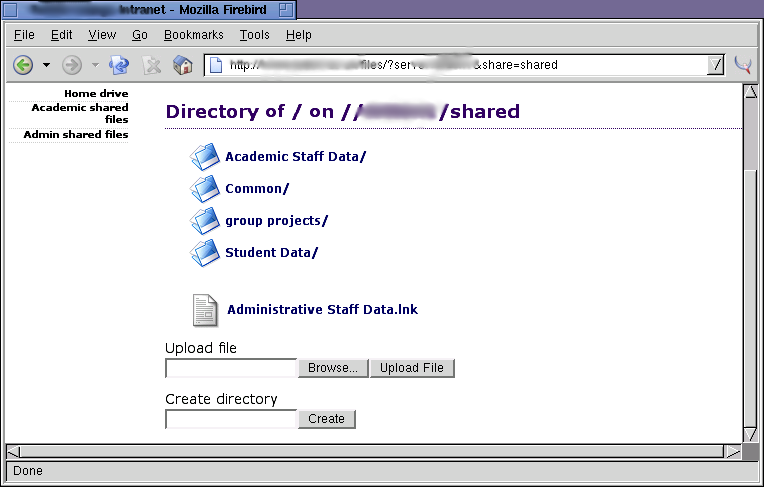 Extract the tarball into a web accessible directory. Edit options.php to set some site specific details. Modify header.php, footer.php and style.css to make it look nice. You should be prompted for your user name and password when the page is opened. The script only uses the user name and password supplied by the user when connecting to shares. smbgw is released under the GNU General Public License.